Taking calls on a wrist watch. Socks that monitor foot strike patterns to improve running performance. Biometric feedback and activity sensors that help wearers make healthier lifestyle choices. It sounds like the stuff of science fiction but it's not; it's a reality today. At WEST: Wearable Entertainment and Sports Toronto (Canada's first wearable tech show), I saw first-hand wearable technology that has already started to make waves. I heard about major sports league scouts who can now monitor the vital statistics of athletes they were watching so they can see "under the hood" and make more quantitative decisions about drafting a player based on more than looks and gut instinct. Personal trainers can see real-time client performance data to improve form or workout quality with a more individualized approach. I even tried out a meditation headband that tracks brainwaves on a smartphone app to help lower brain activity for relaxation. Wearables are running the gamut: technology that can boost activity, keep you connected, and at the end of the day, help you unwind. While I was amazed by the solutions being showcased at WEST (many of which we can buy today), the conference left me with more questions than answers about the bigger role of wearable technology in society. On the one hand, the technology behind wearables isn't that new. In its most basic form, it's all about one computer talking to another like our old peer-to-peer networking environments. So, aside from the admittedly much cooler form factors, is it really all that 'new'? 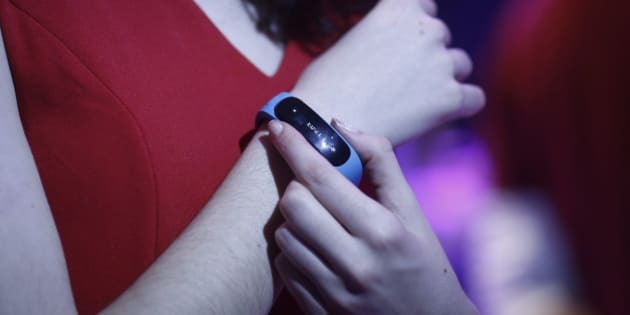 On the other hand, these new gadgets seek to help us improve our health by monitoring our activity and nutrition, make connecting from anywhere at any time easier (did we really need to be more connected? ); and even improve safety with apps that can help parents to track the location of children or the real-time health status of the infirm or elderly. I think that to be successful, these devices need to go beyond tracking information to interpreting the results providing meaningful insights or guidance to the wearers. I would want to know more than how many steps I took on a glorified pedometer, but rather how to insert activities with my stationary, desk-bound job; or suggest more personalized strategies for relaxation and meditation beyond a headband tracking brainwave patterns but not telling me how to make changes I need. I very clearly see a role for wearables connected to Internet of Things. The key is transforming wearables' big data into something we can really use. I don't want a report on my inactivity -- I already know I have a relatively sedentary job! I want insights that I can use in real time that are personalized and tangible. But like with any information-gathering device, I find myself asking questions about privacy and who owns the information. For example, if a biometric sensor is tracking the rhythm of my heartbeat and it detects an anomaly or a heart condition, does that information belong to me or to the app developer that enabled the device to pick it up? And how secure is that information? While the applications and possibilities are very cool in the abstract, is the technology still too new and the domain of those who like to be on the bleeding edge of new gadgets? Perhaps not surprisingly, over half the millennials surveyed by PWC are excited about the future of wearable tech and 20 per cent of adults in the U.S. already own one wearable device. But, this same survey of adults found one third weren't still using the devices after the first year. For the purchasing public, many of whom may now be thinking about wearables as a holiday gift, barriers to greater adoption include price, privacy, security, and the lack of "actionable" as well as inconsistent information from such devices. The Internet of Things and big data analytics could help to address some of these issues but I wonder if we're there...yet. Looking at what is possible, questions about privacy, security, confidentiality and who really owns the information that is being collected (the user or the service provider) are still being debated. And I haven't even begun to unravel the realm of wearables in the workplace! As I said, I have more questions than answers as this emerging space enters the mainstream. What do you think: Is wearable technology a fashion accessory or a functional necessity? Who should own the information these devices tracks? Are you concerned about privacy or security when using a wearable device?